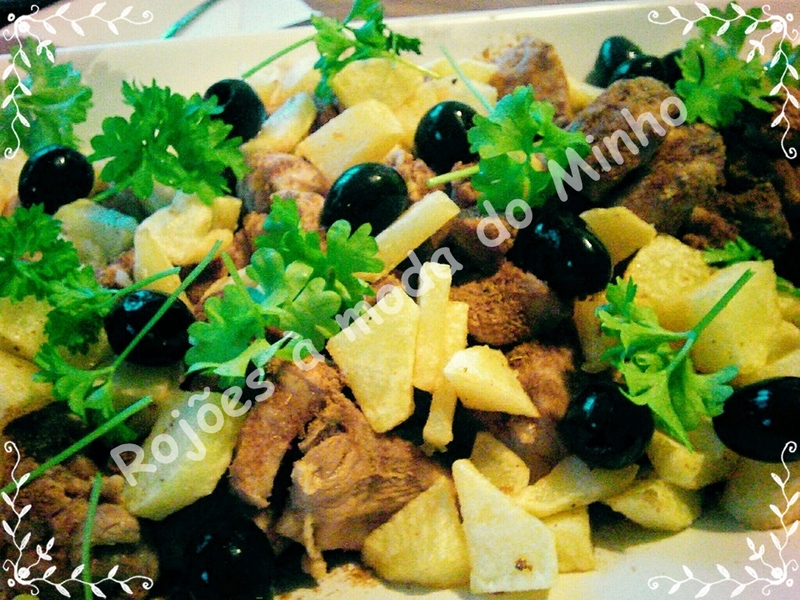 Today i bring to the blog a version (much) lighter and healthier than the traditional portuguese recipe Bacalhau a Braz . I hope you try this recipe and like it and even cold is good special for summer . Bring to the boil a pan of water. When it boils, add the cod and cook over low heat for about 10 minutos.Entretanto, prepare the vegetables. wash them very well. Take the branch of the leek and cut it into small pieces. Peel the carrots, grate it into sticks and set aside. In a nonstick pan, place the olive oil. add the leeks, season with salt, pepper and thyme to taste. add a little water and cook for about 15 minutes. When cod is cooked, drain the water and add it to the garlic preparation francês.Numa bowl, beat the egg and clear, previously separated from the yolk. Add and wrap the prepared confecionado earlier, still warm. Sprinkle with grated carrots, arrange the olives and serve. 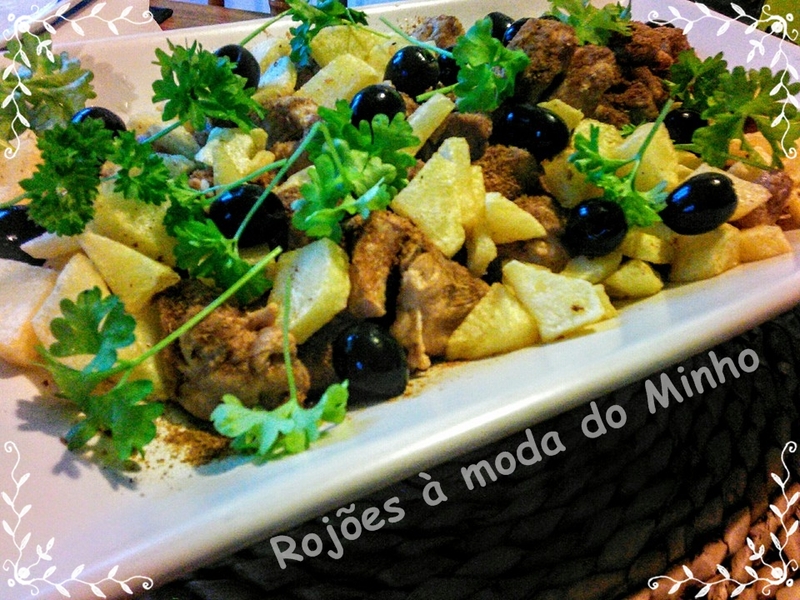 For this Wednesday I bring you a very traditional recipe of my Portugal. Lack guts and blood but not against it in these parts, but we dont like it, so I adapted this simple recipe to my family.I hope you enjoy. garlic cloves, bay leaves, salt, pepper, paprika and cumin. Drizzle with white wine. Let marinate a few hours or overnight. In a pan, place olive oil. Once boiling add the meat. Let browning. Add the marinade. Cook over medium heat about 30-40 minutes, so the meat is tender and the sauce reduces. Accompanied with white rice and fresh parsley and black olives.